Yes! I want to find out more about the retreat! Susan is a shaman priestess who works with clients, worldwide. Find out more about Susan and her shamanic healing work. Enrollment is now open for the Group Program which begins in June 2019. Spiritual musings and inquiries from the heart, mind and soul of a woman who walks the shamanic path as a way of life. A weekly portal for on-going invitations, announcements and news about upcoming events, special offerings, and programs. I recently completed Susan’s yearlong Diamond Program and am still enjoying the Birthing Yourself Into Being Group. I had never heard of Susan yet scheduled a free consultation during one of the summits. She “nailed” my current issue and brought deep insight into the root cause of my problem. I felt an inner voice say; “you need to study with her, allow yourself to be nurtured and birthed into who you are at a higher level.” The cost was substantial; but over time my investment in me; was well worth it. I think the spirits honored my sacrifice and each visioning call with Susan profoundly contributed to my overall health and wellness. One of the things I most appreciate about Susan is her way of sharing from what she is currently working through or has already worked through in her life. She embodies the concept of being a wounded healer and warrioress. I experienced internal alchemy and integration of body, mind, and spirit during the year of our work together. I am most grateful for the genuine wisdom and insight I received while working with Susan. I can tell you she is a real gem-the real deal; authentic, wild, fun, cutting edge, wise, and warm. 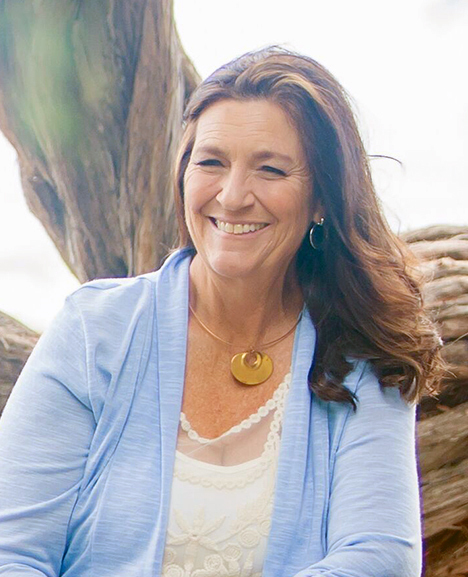 She represents the total package and you too can benefit from connecting with Susan 1:1 for a healing-coaching transformative experience. Susan is a shaman priestess and medicine dreamer dedicated to helping people empower themselves and embody their soul visions. She teaches earth centered practices and tools for personal and planetary healing and transformation. Passionate about demystifying shamanism, she inspires people to remember their wild soul and deepen their connection with the earth, the directions, the elements, their helping power animals and spirit guides. Susan was initiated onto her shamanic path three decades ago when she was faced with a serious health crisis, a shamanic dismemberment, during which the veils between the worlds faded away, bringing her into direct contact with non-ordinary realms of spirit. During that poignant time her path as “medicine dreamer” was revealed, she was empowered with her “gift of sight” and shown how to heal herself on a cellular, molecular level. Read more about Susan’s Initiation here. Traveling or “journeying” into the invisible realms she “sees” “receives” and “retrieves” information, guidance and inspiration from beneficial helping power animals, spirit guides and light beings who generously offer their spiritual wisdom and medicine. Her readings often reveal specific influences that have not yet been detected or diagnosed through other more conventional practices. Acting as mediator and messenger, she shares specific guidance, teachings and instructions from spirit. A light worker and “medicine dreamer” she is committed to calling in and radiating love and high frequencies of light to balance, uplift and heal. Clients often report profound healing and positive shifts as a result of her work. Susan also does energy clearing and balancing work on land, homes, and properties; on site/by distance, worldwide. “Clearing and healing the earth, one small patch at a time”. To find out more Click Here. To contact her or to be added to her mailing list. Click Here. Needing More Clarity in Your life? Contact me now to set up a Free 30 Minute Visioning Consultation. For daily(ish) musings and inspiration, follow me on Social Media! Join my tribe and receive 3 FREE Gifts for you below! Thank you for signing up! Wait here and you will be redirected to your free gift page. It may take a few seconds.